If you follow Fashion blogs then you know Wendy’s Lookbook. She’s basically on the level of blogger royalty and its well deserved. As a fan, I was recently on her blog and saw her designer collab with Baublebar (my fav) and immediately shot over to the website. I’m not crazy about the styling of the look book but there are a couple pieces that I need right now! The Porthole Layered Collar is Gorgeous. It’s a fresh take on the popular Lariat necklace trend with an updated twist on the choker. I’m buying two because I know I will wear this necklace into the ground. 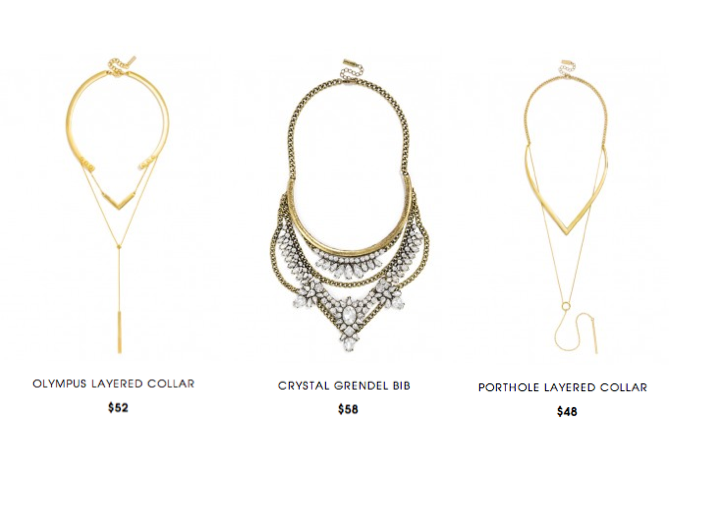 See my fav picks below and see the whole collection at Baublebar. Tags: aael, Baublebar, Costume Jewelry, Fashion Blogger, Lariet Necklace, Statement Necklace, Wendys Lookbook. Bookmark the permalink.